In the context of electronic messaging, spam refers to unsolicited, bulk or indiscriminate messages, typically sent for a commercial purpose. 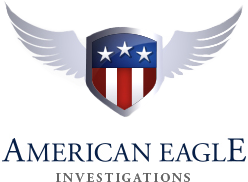 American Eagle Investigations www.americaneagleinv.com has a zero-tolerance spam policy. www.americaneagleinv.com’s messaging systems automatically scan all incoming email messages, and filter out messages that appear to be spam. In the unlikely event that you receive any message from www.americaneagleinv.com or sent using www.americaneagleinv.com’s systems that may be considered to be spam, please contact www.americaneagleinv.com using the details below and the matter will be investigated. No message filtering system is 100% accurate, and from time to time legitimate messages will be filtered-out by www.americaneagleinv.com’s systems. If you believe this has happened to a message you have sent, please advise the message recipient by another means. You can reduce the risk of a message being caught by the spam filters by sending the message in plain text (i.e. no HTML), removing any attachments, and ensuring that your messages are scanned for malware before dispatch. www.americaneagleinv.com may amend this anti-spam policy at any time by publishing a new version on this website.